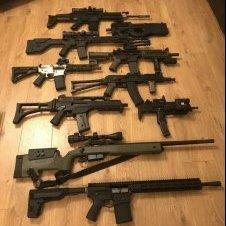 I really like the look of M14 (not the EBR ones) guns so I think it will be my next purchase, tried searching the forum but cant find anything about M14's on here! Just wondered if anyone had one of either of these two brands or had experience with them as the CYMA is £70 cheaper than the G&G one and I cant seem to figure out where the extra £70 comes from as I dont think G&G are that much better than CYMA are they? The G&G is a complete step-up in terms of quality / fit & finish compared to the Cyma. The G&G is simply excellent. Having owned both a classic army and g&g m14's i can say in my exspirence they are a pig to modify and breakdown frequently. I bought the CA first but quickly realised it was a mastake and tried the G&G only to have yet more reliabilty isuses. 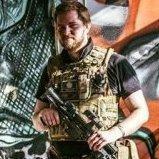 Speaking from my own experince if you want the range of an m14 just buy a star M16a3, you'll never have to touch the interals, the range is superb and the grouping is tight. I had the G&G Veteran model, came shooting 390 out of the box on .2s, literally all I did was add a tightbore and run .3s through it and it was an absolute beast. Only thing I couldn't get on with was the mags were hard to find, and the weight combined with the rifle grip played merciless hell on my wrist. Is it just the vetran model that shoots at 390 as im not looking for it as a DMR? Im interested in potentially running a M14 at some point, anything to look out for, particular brands to avoid etc? Just the Veteran fires at 390 (although mine does 420 out of box). It's got internal upgrades over the standard version that are lent towards a better DMR platform. If you get any of the the standard versions, they should be sub-350.